MEMBERS! Log in THANK YOU TO EVERYONE WHO ATTENDED THE 2017 IC! 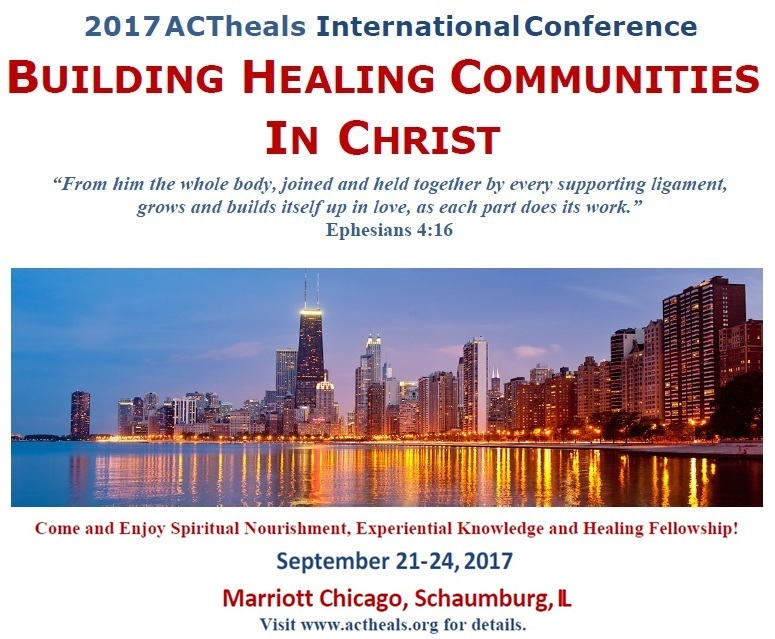 This conference highlights Community and Healing, two areas where God’s great love meets the world’s deep need today. As healers, we want others to draw from the spring of living water which is the Holy Spirit. But as Jesus told the woman at the well, this means that first we must be filled to overflowing, something that can happen only by experiencing healing and community ourselves. 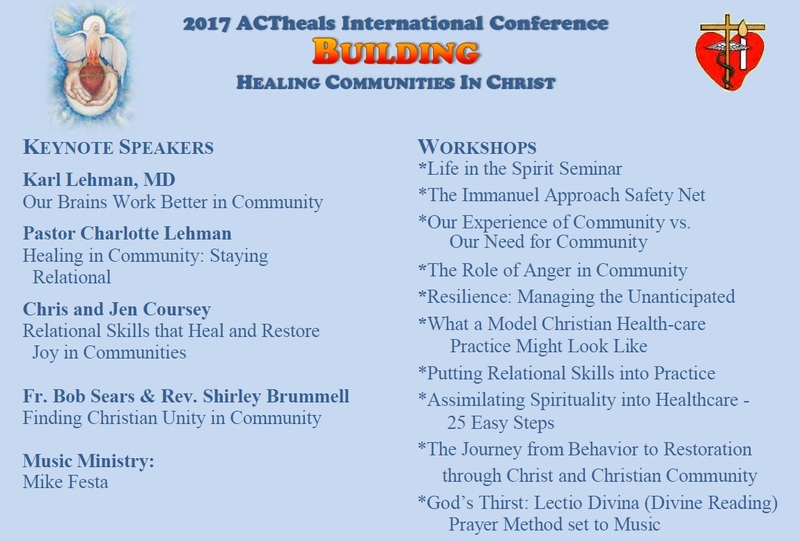 This conference showcases the gifts and wisdom of over 40 years of ACTheals’ ministry as a healing community, while charting a course for ACTheals’ future in these areas. We pray that this may will be a time of an outpouring of the Holy Spirit’s gifts for ACTheals collectively and for each of us individually. Please join Dr. Karl and Pastor Charlotte Lehman, Chris and Jen Coursey, Fr. Bob Sears and Rev. Shirley Brummell, as they invite us into a deeper experience of Community and Healing. Come and enjoy the spiritual nourishment, experiential knowledge and healing fellowship. We are blessed to have Fr. Ubald Rugirangoga who will be celebrating Mass and ministering at the Healing Service on Friday evening. Please read more about Fr. Ubald by clicking here. Book directly online with this link. The Marriott Schaumburg is located 22 minutes from Chicago O’Hare and 43 minutes from Midway. Total taxi from O’Hare: $30; from Midway: $58. Weekend car rental: $27-30/day. A special conference rate of $131 (Double or King) is being offered to ACTheals conference attendees. Guest rooms include complimentary internet and self-parking. The conference rate is available two days before and two days after the conference. Please come early, and then stay to enjoy Chicago’s many attractions. The cut-off date has passed. Please reference that you are with Actheals when contacting the hotel to receive this rate. 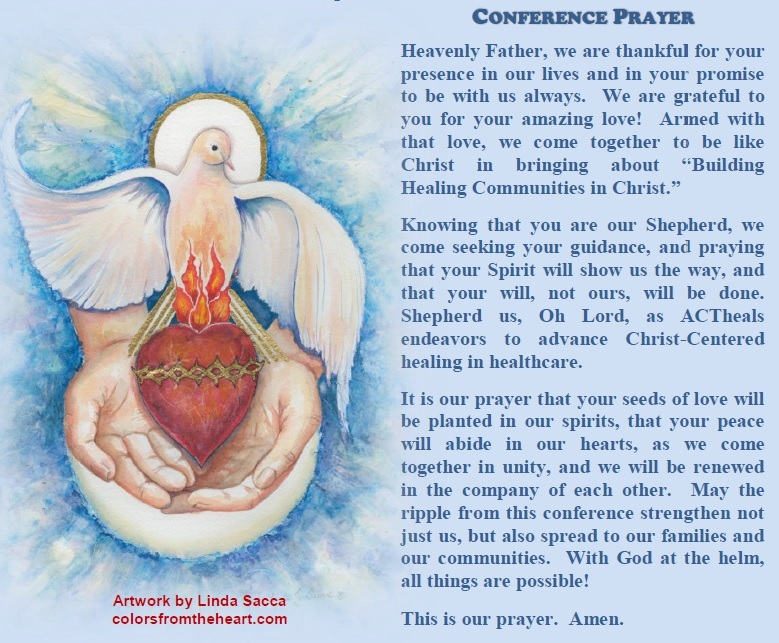 The conference meets the qualifications for up to 15 hours of continuing education credit for Chaplains, Mental Health Counselors, Marriage and Family Therapists and Clinical Social Workers. Click HERE to see the amazing list of Workshops offered this year. Interested in sponsoring an event at the IC? Can you recommend a group, company or organization that might be interested? Please see website for sponsorship opportunities. Or contact Jack Frost: jfrost@firmfound.com. DOWNLOAD AND PRINT a conference registration form for a friend! EARLY REGISTRATION has been extended until Wednesday, August 30th! Remember - Members MUST login to the website to view/receive Member Rates! CAN'T ATTEND THE CONFERENCE? Consider making a donation or contribution to the 2017 International Conference Scholarship Fund.